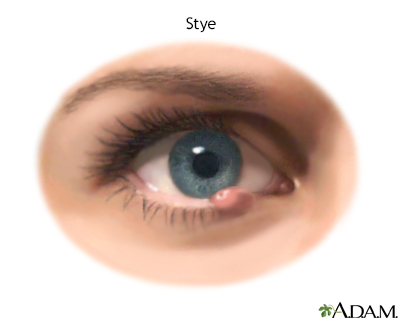 A stye is a relatively common infection. Styes are often caused by staphylococcus and occur in the glands that open onto the lid margin. They are red, swollen, and painful.